Day 6 of Chain Reaction is always tough. Five long days in a row in the legs makes fatigue a significant factor for how the day will unfold. 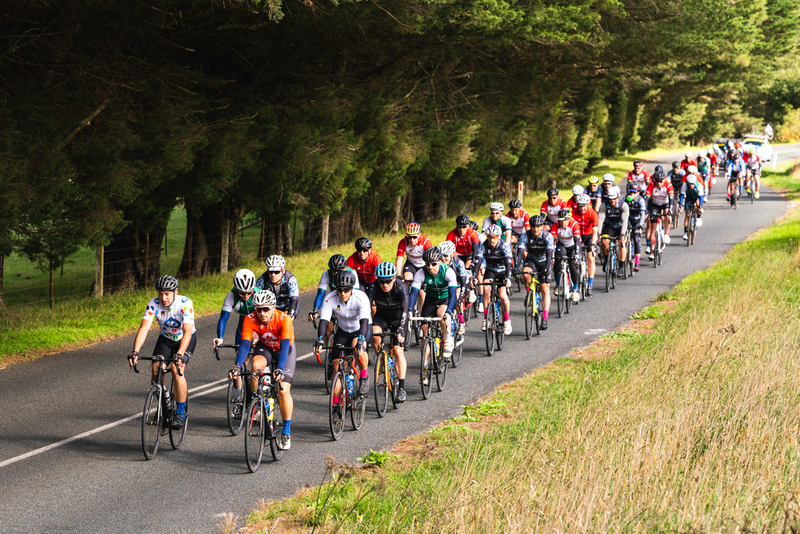 Some people woke up feeling ok, some woke with aching bodies whilst others were unsure how they would make it through the 117 kilometres from Burradoo to Kiama. 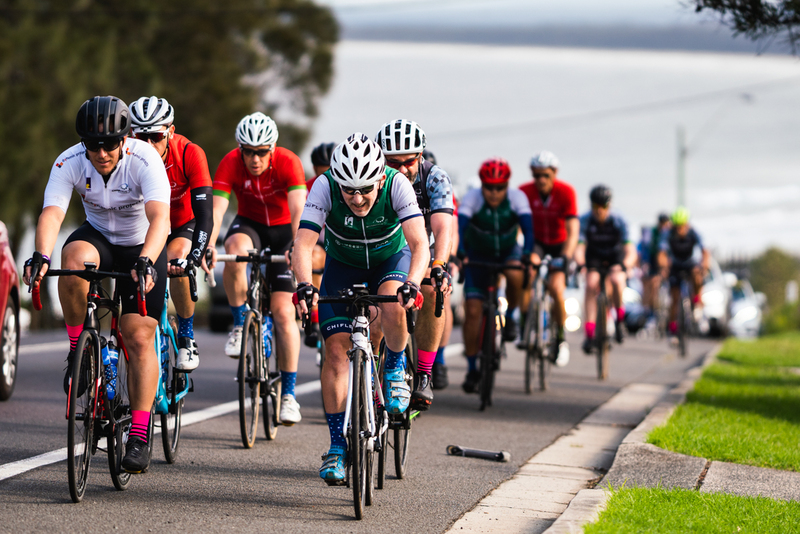 A two hour bus transfer from Canberra to our starting point just outside Moss Vale provided the riders with the chance to enjoy a larger than usual breakfast and a power nap before the ride began. 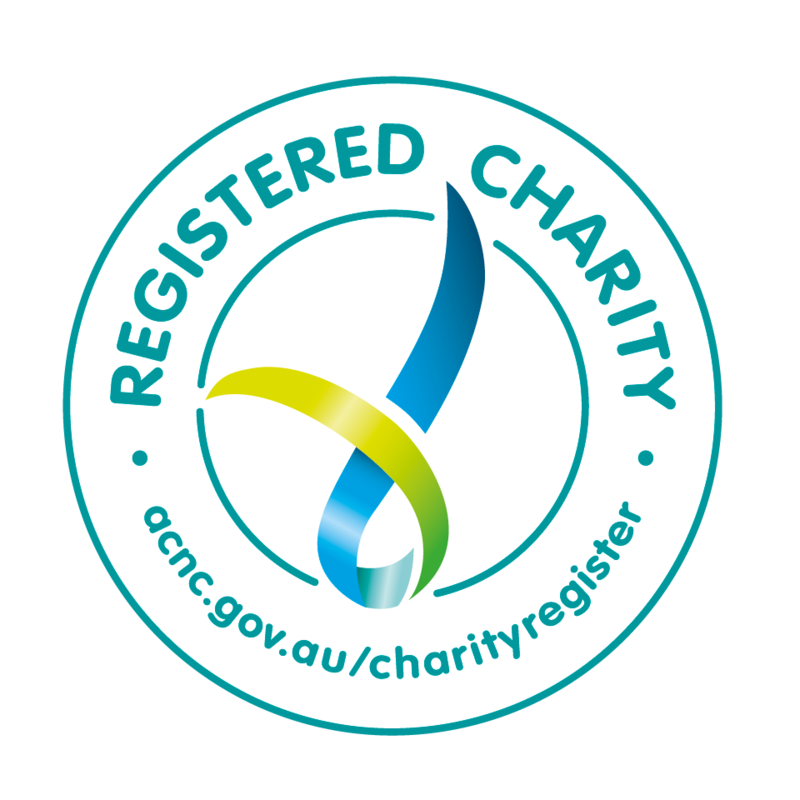 The late start also gave us time to reflect on what we had heard last night from Kristy and Zeke about a life-threatening hospital experience made bearable by the fantastic work of the Starlight Children’s Foundation. 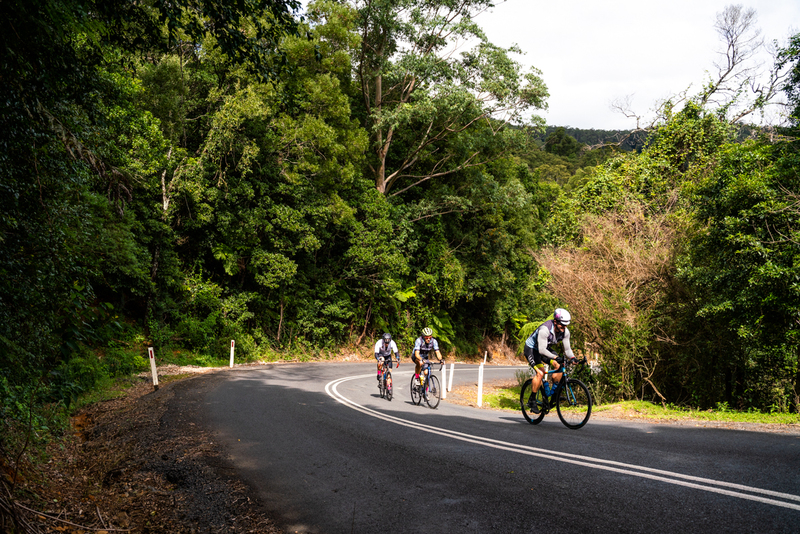 The ride started with a few rolling hills taking us out Moss Vale and past some large country estates and over majestic tree-lined roads. Soon enough the road opened up with a short descent allowing for some spectacular views over the Southern Highlands. The road flattened out and small groups formed as we rolled towards Robertson. 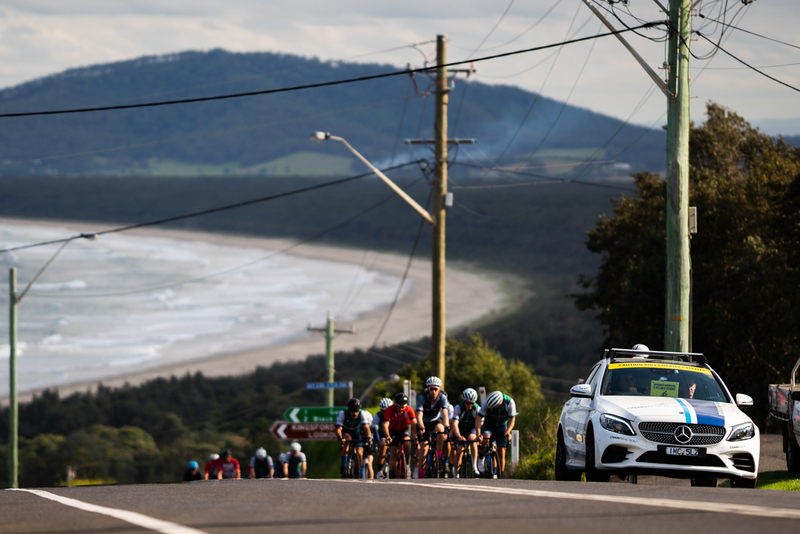 The steady pace was interrupted by a one kilometre climb with a 10% gradient up Kangaloon Rd which has earned the nickname “Cardiac” for its ability to get heart working. 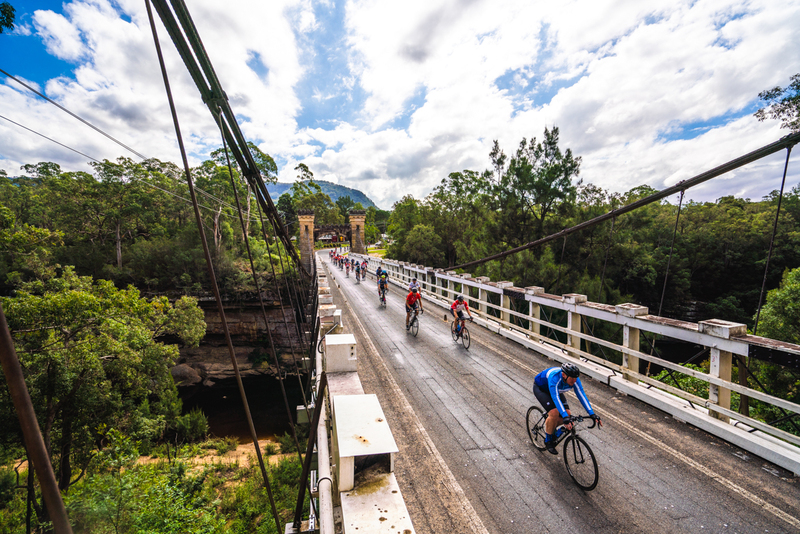 After a brief stop to refuel our water bottles, we headed past Fitzroy Falls Lake and down the long and fast Barrengarry descent into the beautiful Kangaroo Valley. Once across the historic Hampden Bridge, the group turned left and rolled though idyllic farming countryside featuring most days of this Chain Reaction course. 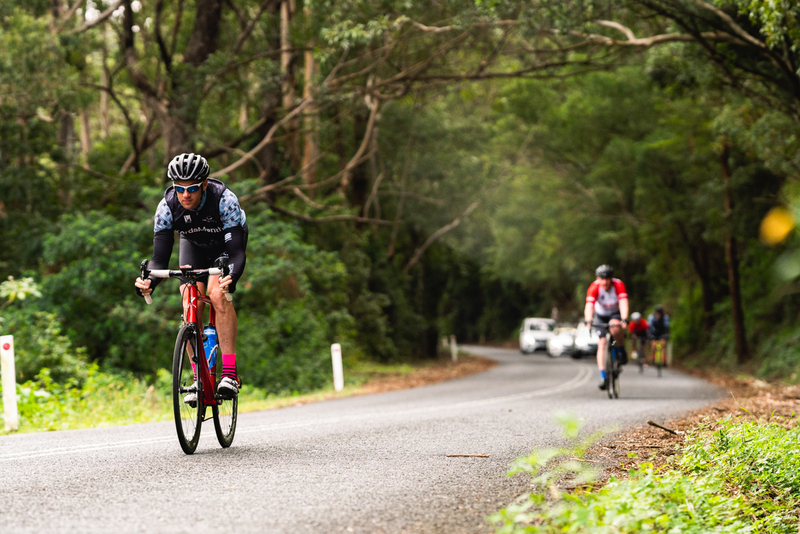 A short gravel section and a few steep pinches gave way to the toughest climb of the day up Wattamolla Road, two kilometres at a gradient of 12%. After lunch the group headed towards Kiama and were guided safely to the finish by our ride director Tim Chadd. 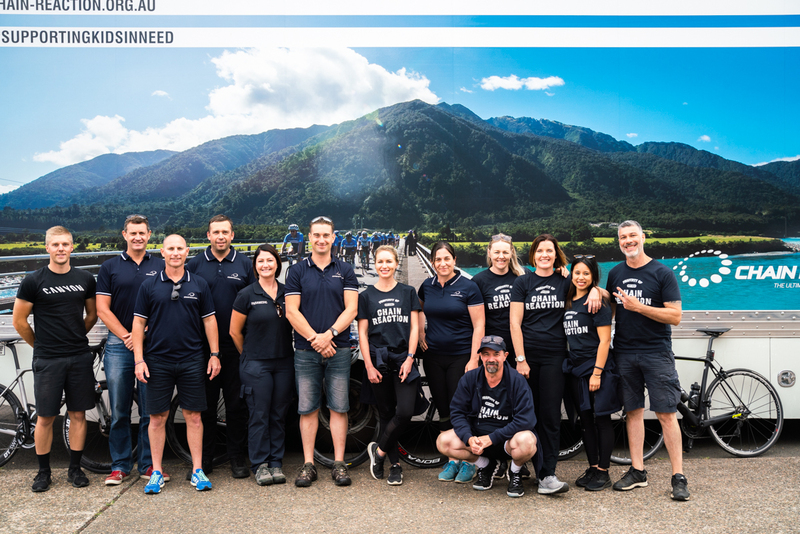 The penultimate day was a success and we look forward to the final day and the chance to see friends and family at the finish line in Sydney. On a day like today the pre-event training really pays off. This year we had an ex-professional rider, Trent Wilson, guide us to the start line with three months of weekly training rides. 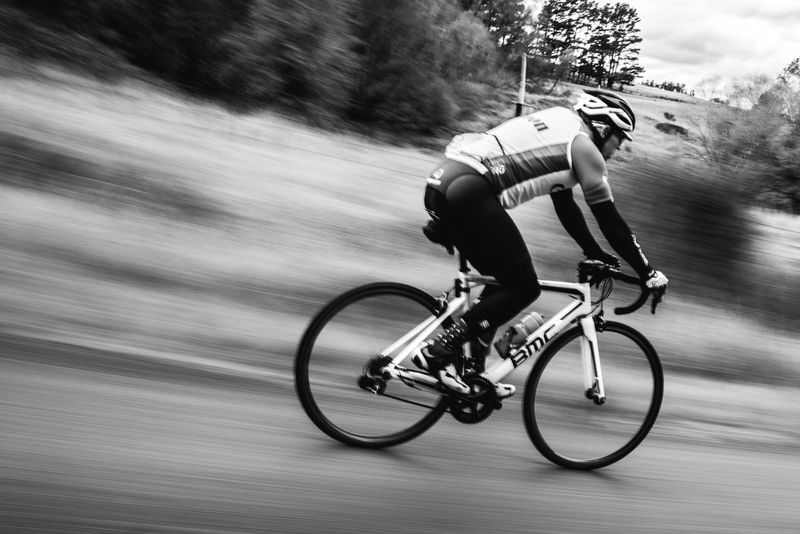 Each week Trent coordinated three sessions, two mid-week and a long weekend ride. These were instrumental in bringing many up to the standard required to get through a seven day event. Having done two grand tours himself, Trent has been an excellent source of advice and wisdom as well as helping us out of some dark places in the bike this week. Trent has spent significant portions of each day in the wind at the front of the peloton (where you burn 30% more energy compared to the rest of the bunch) and has helped riders over some of the hills using the ‘hand of god’ – a term used to describe when one rider places one hand on the back of another rider to push them up a hill. We thank Trent for his efforts and look forward to him being part of Chain Reaction in the years to come.